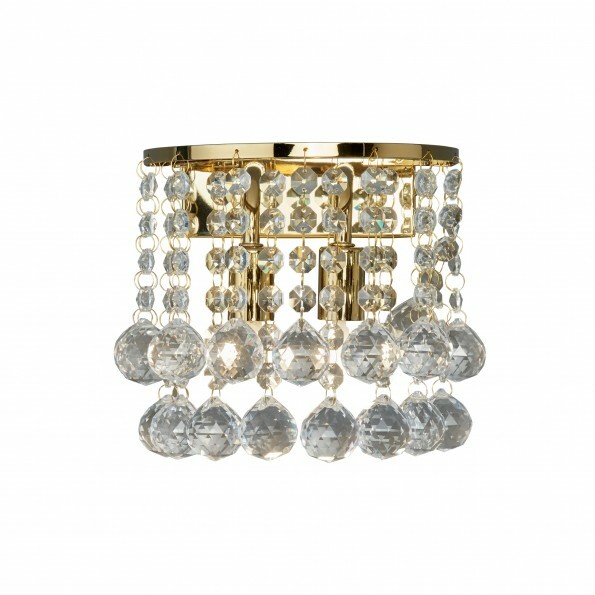 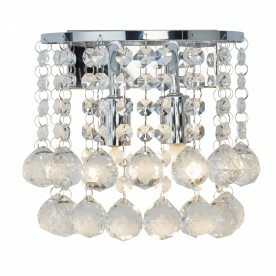 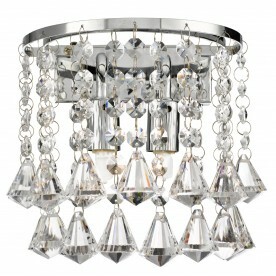 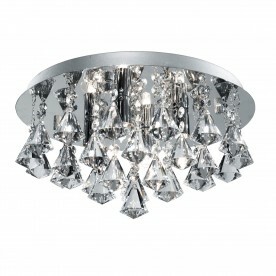 This Hanna Gold 2 Light Round Wall Bracket with Crystal Balls looks stunning on any wall. The luxurious fitting features two lights surrounded by cascading crystal buttons and spheres, which hang decadently from a golden finished ring. 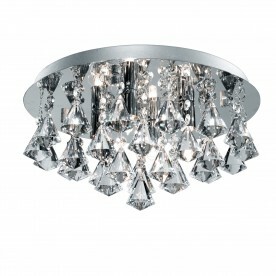 This modern fitting looks beautiful by day or night.